Tightly box pleated 24mm wide ribbon, around a 68mm diameter centre. Produced in high quality satin ribbon. 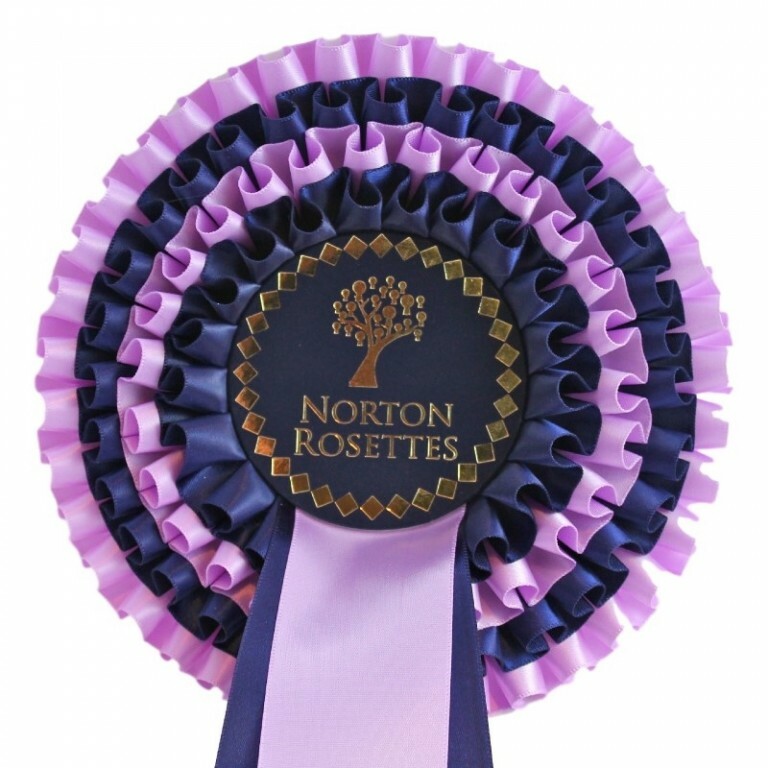 This not only gives the rosettes an exceptionally luxurious feel, it enables them to hold their shape and remain crease free. Supplied with 3 x 38mm wide, 300mm long tails. Have your club/event name and any stock logos incorporated in the centre.